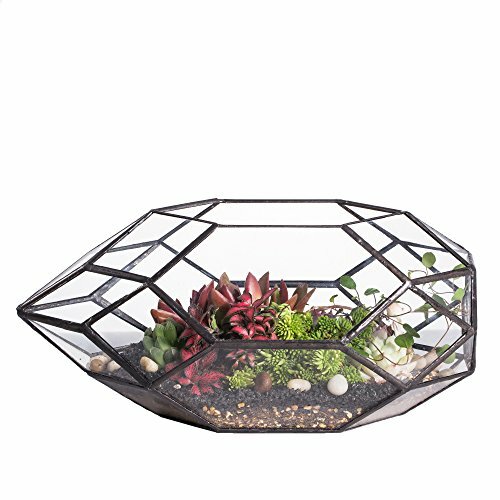 Special features: This is a irregular prism geometric terrarium, great for centerpiece. It is large. The height is 11". 99.9% tin sealed, do not leak. Please note: terrarium only, plants are not included.